Is a homeopathic sleep remedy something that you should consider? A homeopathic sleep aid could be beneficial according to a systematic review of studies conducted since research databases were created to the present day. The review was conducted by researchers at Duke University. Here you will learn about their conclusions, but first some background about homeopathy. Homeopathy is often criticized by researchers as being unscientific. The Duke researchers seemed to look at the subject with open minds. They did not dismiss the treatments as unscientific, primarily because they focused only on the studies that had to do with psychiatry. Psychiatry is not very scientific. There is no way to measure results other than observing or talking to the patient. Things like blood pressure and glucose levels can be measured. It is possible to determine whether or not a drug works by taking new measurements. Still scientists will consider that something else could have provided the benefit. But they will conduct more studies using more volunteers until they are sure the benefits seen are due to the drug. The reason that homeopathy is considered non-scientific is because the components of the remedies cannot be measured using equipment available today. The homeopathic remedies consist of highly diluted compounds. Those compounds are things that would cause the undesirable symptoms in a well person. In other words, homeopathic sleep aids contain compounds that would cause a well person to have difficulty sleeping. But because of the high dilutions, there is no scientifically detectable level of the active compound. People are sometimes the best judges of the effectiveness of a remedy. They consider it effective if it works to relieve their symptoms. Placebos sometimes relieve symptoms. Placebos are inactive substances like sugar pills. In placebo-controlled studies, one group of participants is given the drug. The other group is given a placebo. The process is considered more scientific, because there is a control group to compare to. Several of the studies in the Duke review compared the benefits of a homeopathic sleep aid to those of a placebo. The results were mixed. In some studies, the results seen in the placebo group were no better than those seen in the treated group. In some studies, the results were better, which is why the final conclusion reached by the Duke researchers is that homeopathy may be beneficial for "somatic" or sleep-related problems. A second thing that makes a study more scientific is to make it randomized. In randomized studies, the volunteers and the researchers are unaware of who is receiving the active treatment. Without randomization, the results could be skewed because of what the researchers expect to see or because of what the participants expect to experience. After the study is over, this helps researchers determine if side effects are due to the active treatments. Homeopathic sleep aids do not cause side effects. If you were to try one and found that you experienced unpleasant side effects, they would not be caused by the remedy you were taking. In general, homeopathy is without side effects and completely safe. With other medical conditions the main problem that worries doctors is that a person could postpone a proven treatment while trying homeopathy and put their life in danger. There is no such danger associated with the use of homeopathic sleep aids. While insomnia is frustrating and can be dangerous because of daytime fatigue, it is not life threatening. Eventually a person will fall asleep. An exception to this is the rare condition, fatal familial insomnia. NOTE: Never delay in seeking your doctors advise based on something you read on this or any other website. The prescription sleep aids that are available as insomnia treatments are not completely safe. Their effectiveness varies. The side effects may include daytime fatigue or a feeling of being hung over (and much worse). Dependency or addiction can occur. When you consider those factors, a homeopathic sleep aid seems like a good alternative worth trying. Native Remedies provides homeopathic sleep aids like thier Sleep Tonic if you would like to try a homeopathic approach . They also offer many other homeopathic remedies. 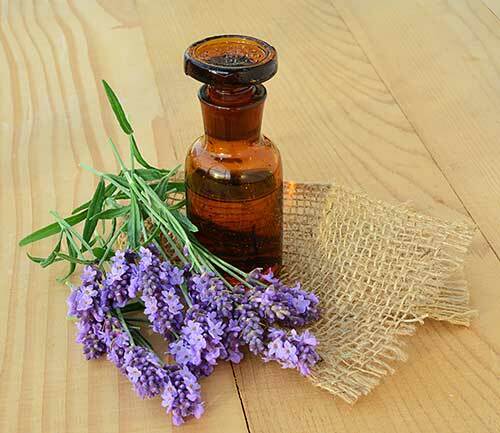 Learn more about the Native Remedies range of homeopathic and herbal remedies.